It’s Monday. Deal With It. I have written about Mondays before. I love Monday. It’s like a mini-New Years Days for me. It’s a fresh start for the week, and I love fresh starts. So it interests me that so many people are Monday averse. It takes some people hours to get going…if they ever do. They grunt and groan like the world is void of all hope and happiness. But here is the deal…. it is Monday. You cannot change that. So why not make the most of it? 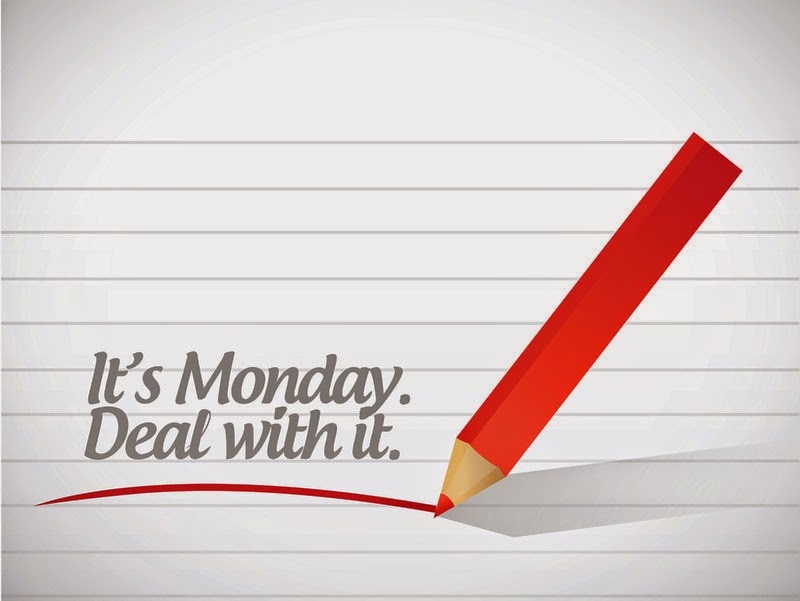 My tip….. Make sure you work Monday — not the other way around. Many people allow Monday to work THEM, because they haven’t planned for it. So, plan your Mondays the previous week. Now you have the entire weekend stress free! You don’t have to worry about what Monday brings, because you have a plan. On Monday, attack that plan with vigor. You will find yourself WAY ahead of where you normally are by the time you hit Tuesday. In fact, plan your ENTIRE week the week before. Monday, flip the switch, and let the machine run. Yes, there will be unplanned interruptions and surprises. That’s just the fun of life! If you have a good plan that leaves for some flexibility, you’ll be able to handle those surprises!